Geophysical survey, field-walking, excavation, training and community events in association with the East Cleveland Villages Big Local (ECVBL) The East Cleveland Villages Big Local investment by the National Lottery will make significant contributions to our communities, our collective wellbeing and our aspirations both to celebrate our vibrancy – even in difficult economic times – but also to showcase the potential we have well beyond our region. REAPING TIME is a banner for a community-inclusive venture, a true adventure, to discover more about East Cleveland in north-east Yorkshire. Our ancestry, no matter where we have all come from, dates back to the last Ice Age, over 12,000 years ago. People, just like us, have been artisans, creative folk, canny traders, farmers and, more latterly, industrialists, all against a backdrop of changes to our environment and circumstances. 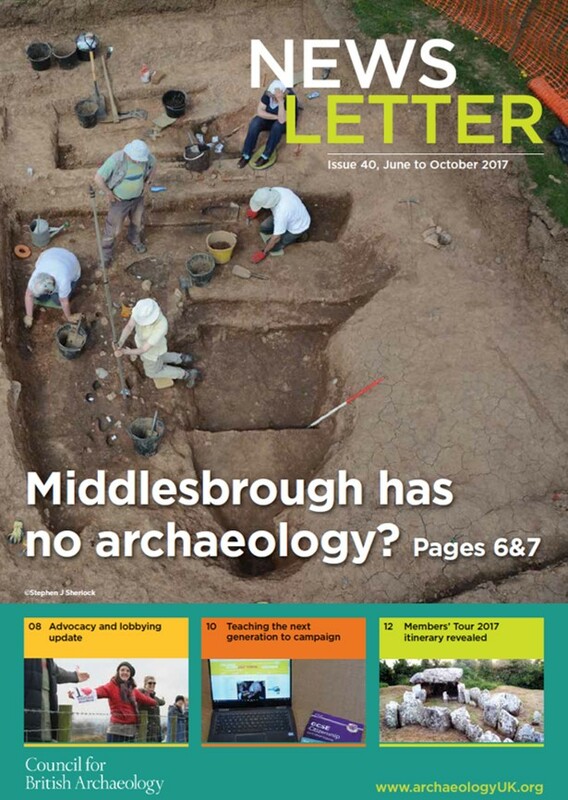 This heritage and archaeology project aims, at its core, to recognise our long, shared past as a key component to understanding how and why we are all here, why we thrive, how we have endured, and why our area is very special on a national scale too. We have a very real prospect of demonstrating an even richer value beyond – and this is in no small part of where ongoing ventures at Street House, Loftus, continue to surprise in our discoveries and uniquely nuanced north-east place in a bigger world. We should not be surprised to add to our reputation in the areas we intend to focus on in this project. The hints, by careful research and observation, are more than there! Early Neolithic flint rod dating to 3800-3500 BC. Heritage Lottery Funded Community Project | Lithics Specialist & Trainer Roads to the Past is a Heritage Lottery-funded project currently under-way as a partnership between Solstice Heritage and the Thornton le Street Heritage Group. It is focused on the landscape around the village of Thornton le Street, near Thirsk in North Yorkshire, a fascinating area associated with several shrunken medieval villages and the route of a Roman Road. The Eston Hills dominate today’s industrial landscape of the Tees estuary and the rugged coastline of north-east England. The community moors and woodlands are a wildlife haven that also bear testament to human endeavour since the end of the last Ice Age – 12,000 years ago. ICE AND FIRE is a community project which aims to explore, record and celebrate the evidence for over ten thousand years of human life, death, ingenuity and persistence. 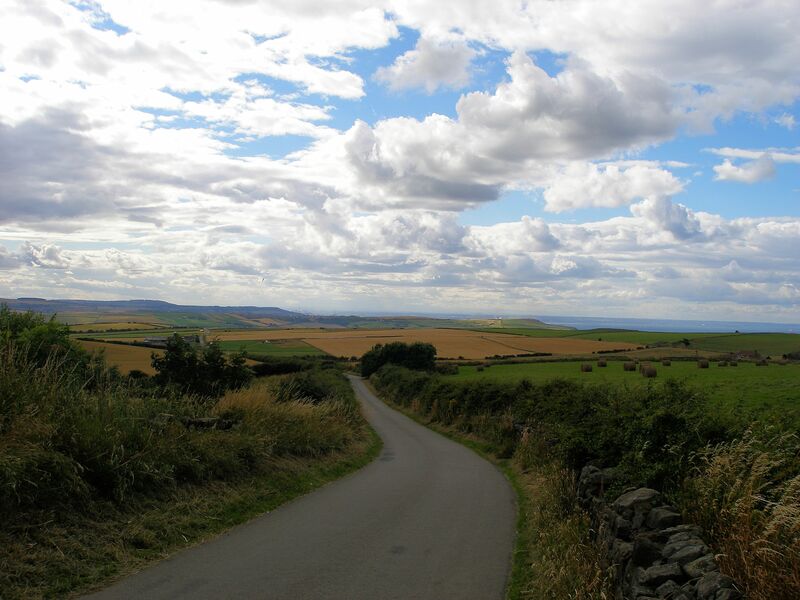 The hills belong to the community of Teesside as a tranquil haven away from the bustle of modern life. Tragically, they are also plagued by acts of vandalism, illegal off roaders – and arson. The wetlands, which preserve evidence for past environments, are being irreparably damaged and the moorland is scarred by vehicle tracks. Image: Eston Nab is it might have appeared in the late Bronze Age. 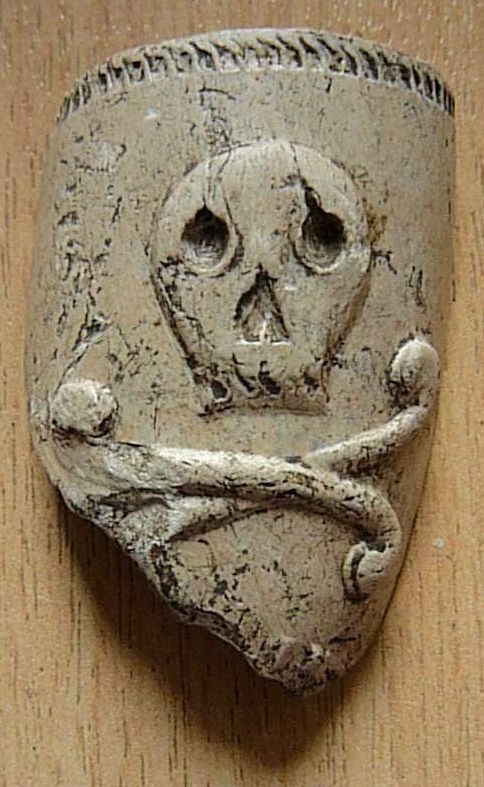 © Tees Archaeology. 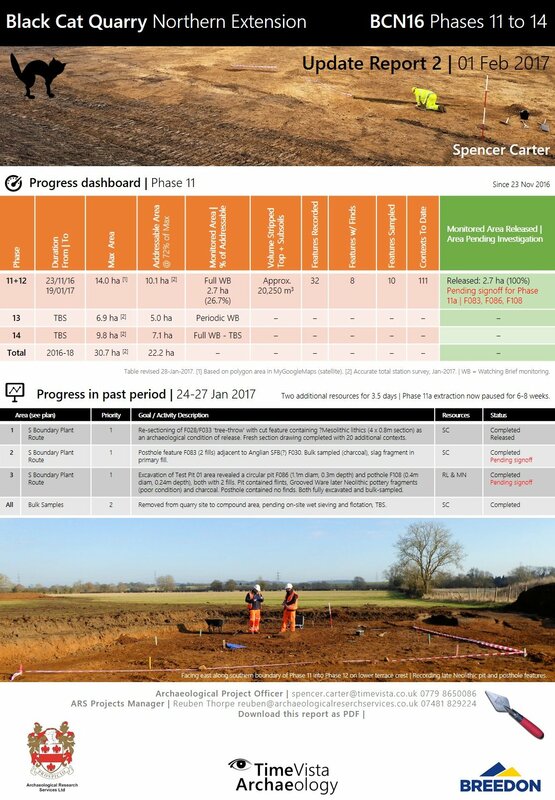 Project management of phase 11 of 14 with strip-map-sample engagement in association with Archaeological Research Services Ltd.
Archaeological oversight of aggregates extraction at Black Cat Quarry, near St Neots in Bedfordshire, commenced in 2014. Phased stripping of top- and sub-soils has revealed evidence dating back to the late Neolithic, perhaps earlier and early Bronze Age on a gravel terrace to the north of the River Great Ouse. 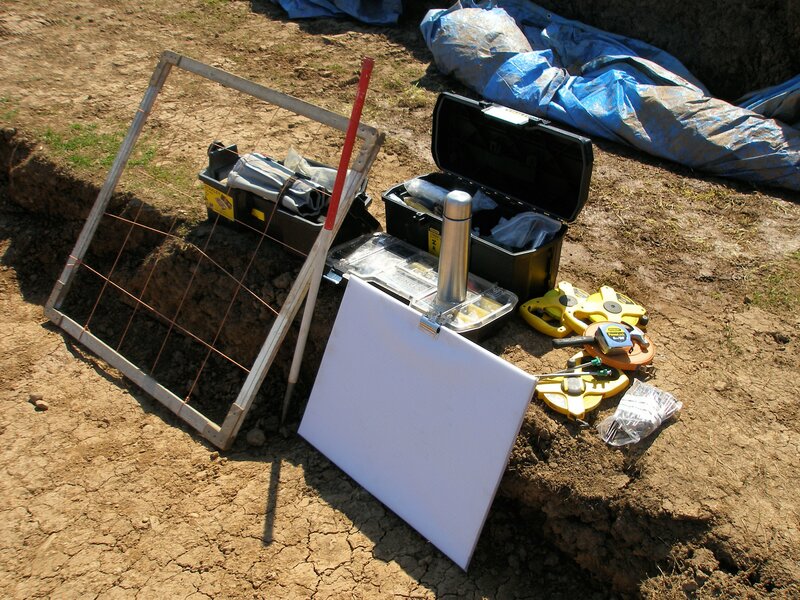 Land division boundaries are evident, with discoveries including a Romano-British farmstead – rebuilt after a flooding event – and part of a third-century inhumation cemetery containing 15 individuals, along with evidence for Anglo-Saxon activity. Phase 11, adjacent to the A1 at Black Cat roundabout between Sandy and St Neots, is on the site of a recent car-racing circuit still visible on Google Earth images. 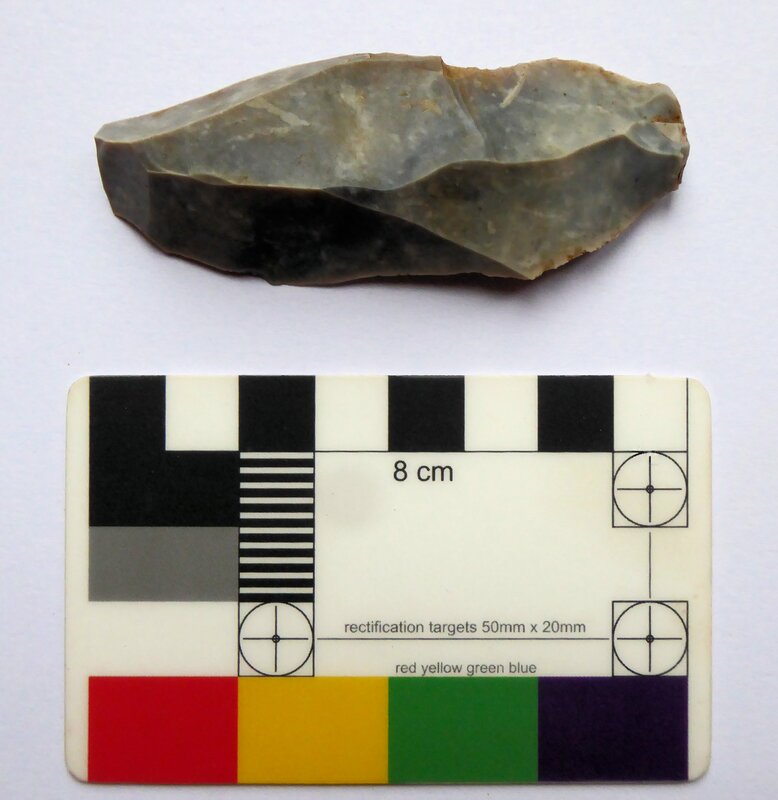 The latest finds include sherds of plain and decorated Anglo-Saxon pottery, animal bones and, from other features, prehistoric knapped flint tools and pottery dating to the beginning of farming in the Neolithic period. Left: Anglo-Saxon (Anglian) hand-made, decorated pottery dating to the 6th–early 7th century AD and often associated with funerary practices (December 2016). Right: Neolithic flint knife, around 5000 years old, recorded during machine stripping along with Grooved Ware pottery, a pit and post hole (January 2017). Lodge is a former medieval grange farm for the Cistercian Byland Abbey that was sold into private ownership following the dissolution of the monasteries in the mid-16th century. The settlement is recorded on Saxton’s map of 1577 as ‘Lodge howses’, and appears on Ordnance Survey maps from the mid-18th century onwards. It was continually occupied up to abandonment in the 1920s. It has not been modified since abandonment and is a typical upland settlement from the 17th century made up of five building complexes based on the traditional Yorkshire longhouse of domestic accommodation at one end and livestock at the other. Currently buildings are visible as footprints with several courses of stonework still standing. Subsequent to an archaeological survey in 2011, the BIG DIG 2016 offered an opportunity to explore one of the five ruined structures and the associated garden area. Up to 18 volunteers attended each day over the two weeks, plus two Bradford University undergraduates, two postgraduates and a sixth-form intern. 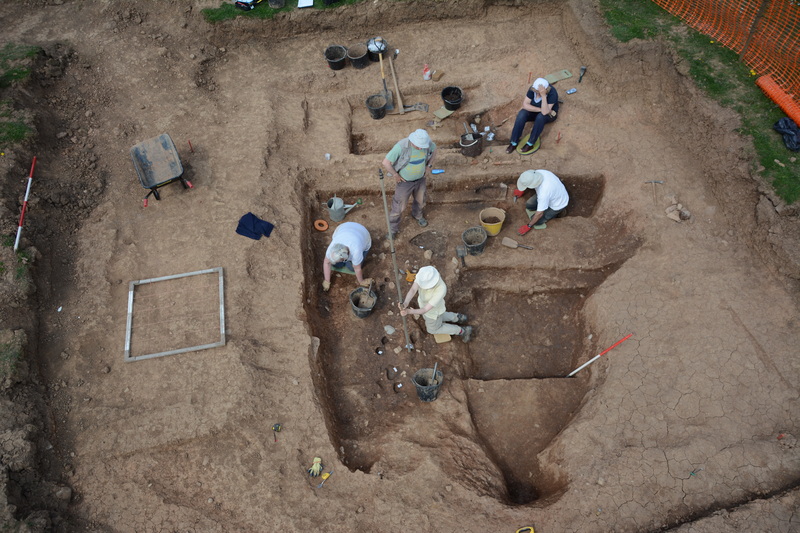 The excavation focused on one of the farmstead buildings and its garden area, the latter providing many finds from the 19th and early 20th centuries and a ceramic sequence back to the Medieval period – with two residual sherds likely reflecting the monastic foundation in the 12th–13th century. Two flint artefacts attest to Mesolithic activity, c. 8500–4000 BC, in the vicinity. Excavation, fieldwork, and finds processing in association with Stephen J Sherlock as project director. Image © Stephen J Sherlock. Street House typifies the archaeological potential of Teesside and North-East Yorkshire as a whole. It demonstrates continuous human activity from the Mesolithic through the Neolithic, with Bronze Age funerary monuments and houses, Iron Age settlements, a Roman farmstead whose occupants were cannily trading in salt and Whitby Jet objects and which may have boasted a bath house, to the extraordinary Anglo-Saxon royal princess buried in a jewel-festooned bed in the seventh century AD (Kirkleatham Museum, Redcar) – an internationally important discovery. As yet, the associated settlement has not been discovered. 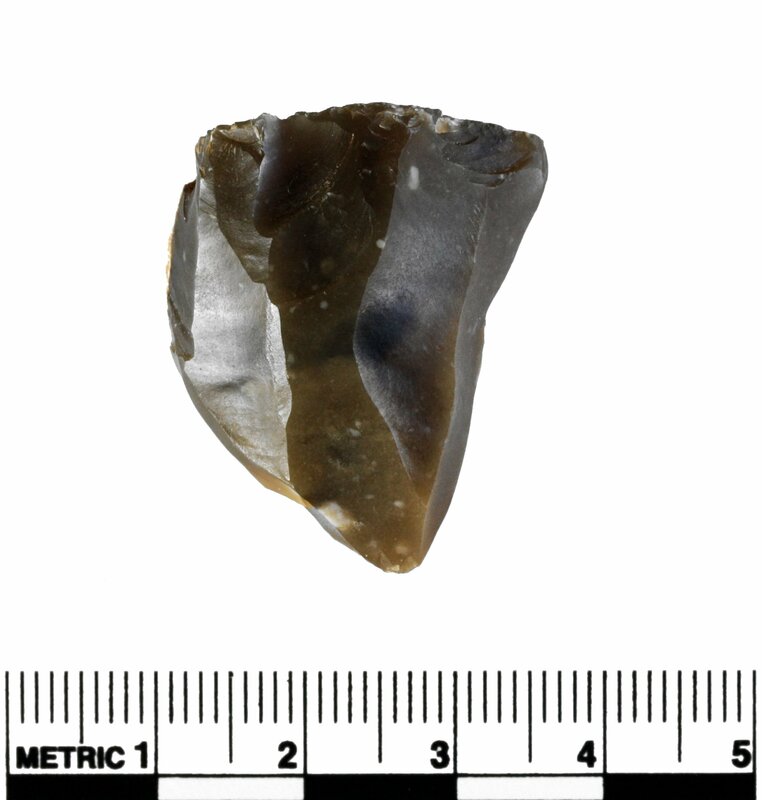 Late Mesolithic or Early Neolithic flint core. © Spencer Carter. 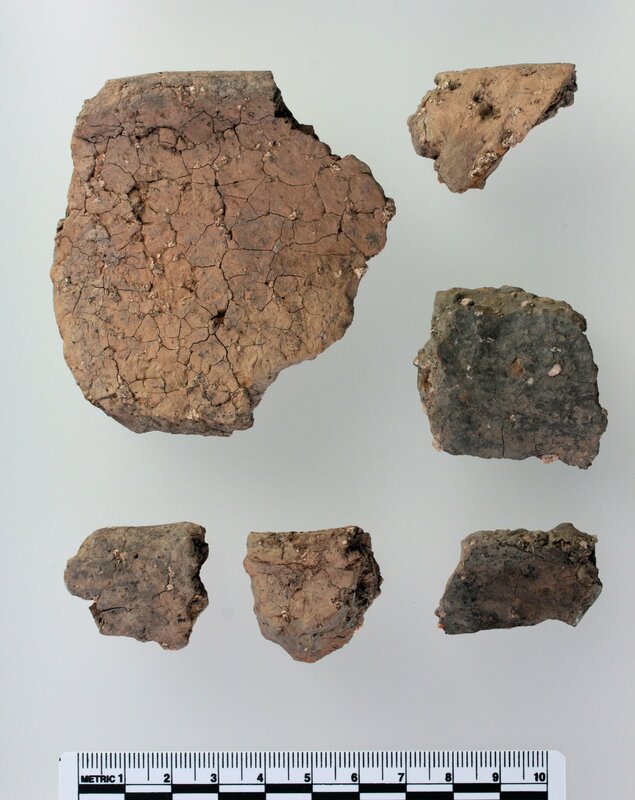 We now have firmly radiocarbon-dated evidence for ‘Teesside’s oldest house’ at Street House, Loftus, with flint tools and very early Grimston Ware pottery (joining a mortuary cairn discovered in the 1980s) dating back nearly six thousand years, c. 3700–3900 cal BC, and sitting under a metre of heavy clay. Further excavations will take place during 2017. 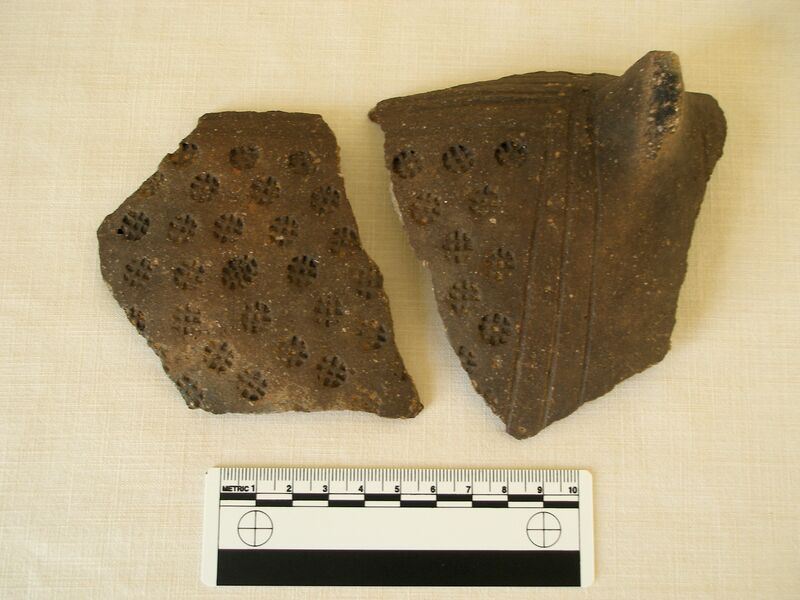 Early Neolithic Grimston Ware pottery. © Spencer Carter. Kiplin Hall sits in a landscape rich in archaeological remains dating from the times of the early hunter-gatherers through to the monastic grange which predated the construction of the well-known Jacobean hall. 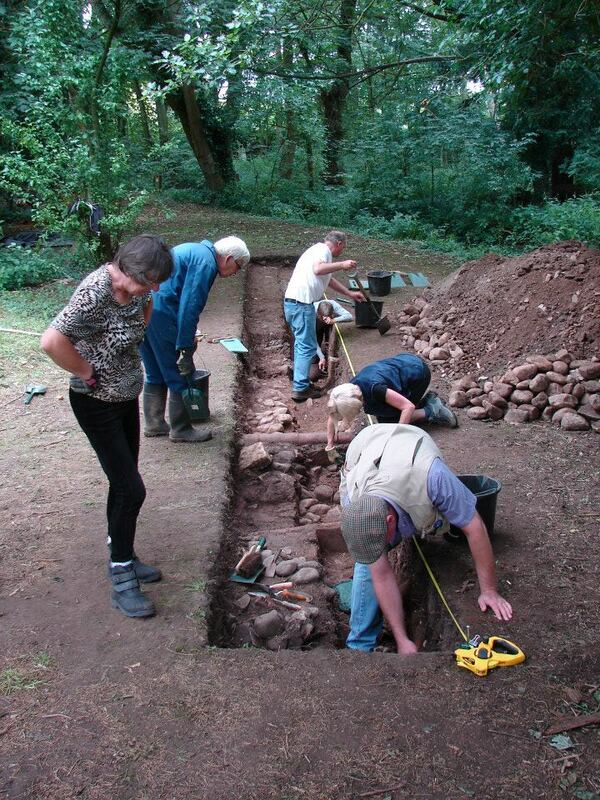 The project involved local community volunteers, students and schoolchildren taking part in a wide variety of archaeological and historic building recording activities. Jim Brightman of Solstice Heritage was the Lead Archaeologist on the project working with Dr Emma Wells of the EJW Heritage Consultancy, laser scanning specialist Michael Lobb, and a team of field archaeologists including lithics specialist Spencer Carter. 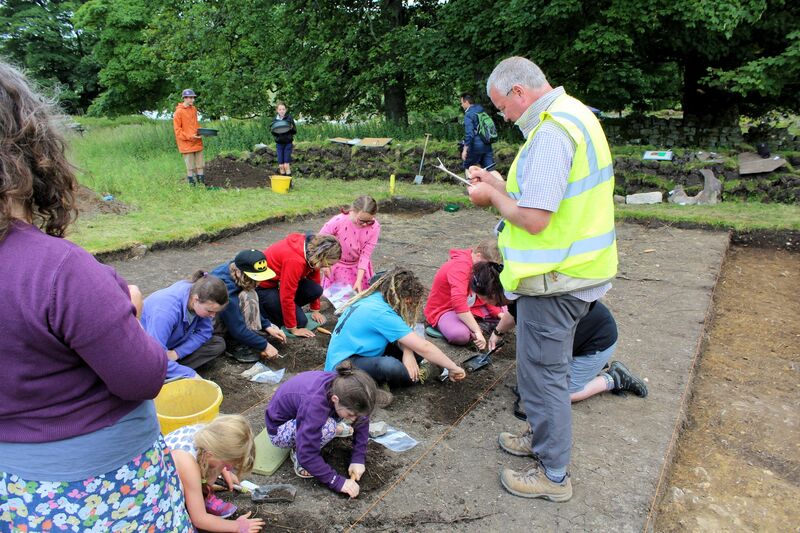 The Charting Chipeling project included landscape and earthwork survey, historic building recording, test-pitting with local primary schools and a fantastic three weeks of excavation. The excavations uncovered a few fascinating windows of alteration in the Kiplin grounds ranging across the 17th to 19th centuries, with evidence of local brick-making, a 19th-century summer house and the early post-medieval estate boundary (re-used for training in WWII). Probably the most interesting story we have been part of is in the unraveling of a sequence of roads from the medieval period through to the present day, as the main road from Richmond to Northallerton was gradually migrated further away from the Hall during the 18th century, creating the Kiplin grounds as we see them today. Contact TimeVista to discuss your project or requirements.